Even more alarming, the Federal Reserve reports that the national credit card debt is $1 trillion! (2) That’s trillion. With a T.
Maybe you’re tired of making minimum payments and getting nowhere fast. Or maybe you’ve had it with debt and are ready to take extreme measures to change your money habits. Well, you’re on the right track because closing your credit card account is a great way to start making your money work for you—instead of the credit card companies. 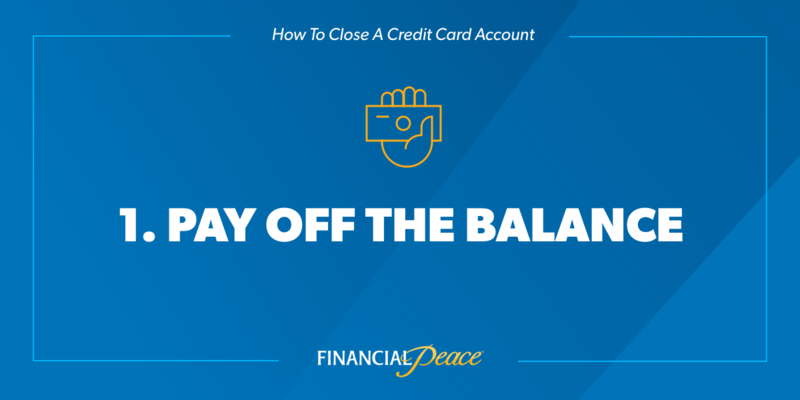 Before you close your credit card account, you’ll need to pay off the balance. This might take some time, but you need to stick with it. 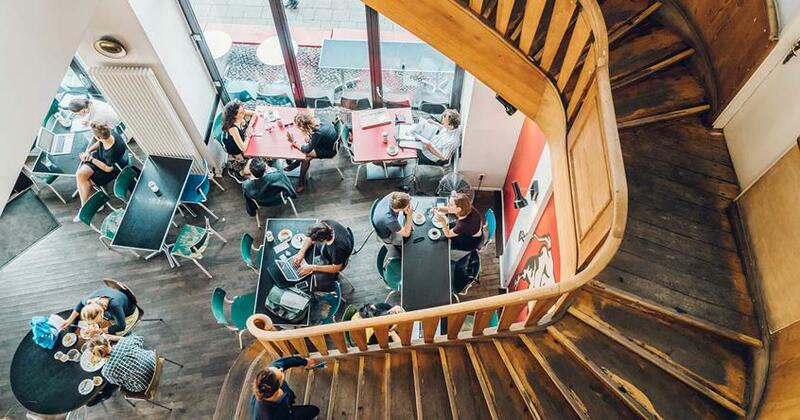 For best success, you’ll want to pay off one card at a time. Start by listing your balances from smallest to largest, and then attack the card with the lowest pay-off balance—regardless of interest rate. Once you pay off the smallest card, close it. Then move to the next smallest and then the next until all your cards are paid in full and closed. Paying off your credit cards is the hardest step in this process, but it’s also the most rewarding. 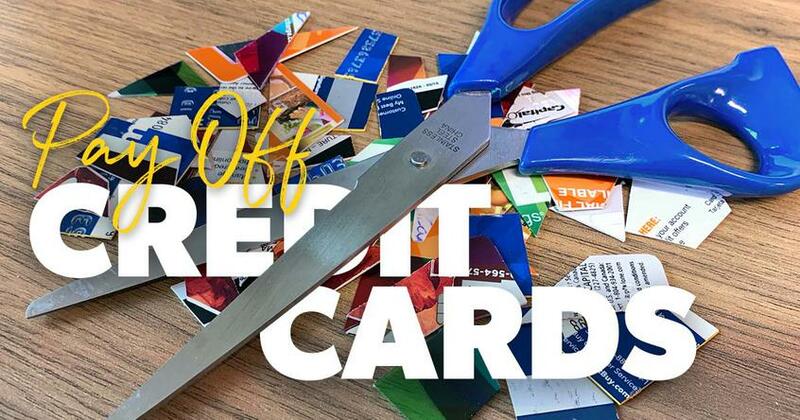 Once you’re done closing an account, destroy the card! This is the best way to keep yourself accountable to follow through on canceling the accounts. You’ll lose all your reward points. You’ll ruin your FICO score. You’ll lose your cash-back bonus. 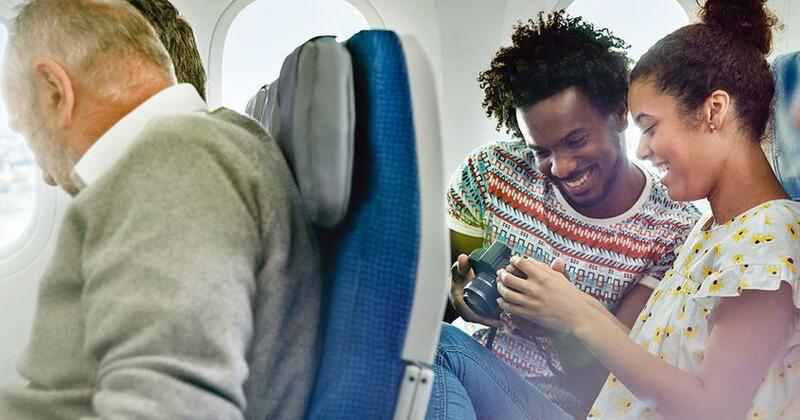 We’ll give you 5,000 airline miles. We’ll waive your annual fee. We’ll switch you to a no-fee card. Don’t go for it. They’re not trying to be kind. They’re trying to keep the thousands of dollars in revenue you represent. So be prepared to fight (politely, of course) to close your credit card account. Eventually, they should catch on and close your account just to get you off the phone. If not, ask for a manager. Keep going up the chain until someone gives. After confirming your balance is zero, repeat this phrase: “I’m calling to close my account.” Be firm. Let them know you’re not interested in their offers or their threats. 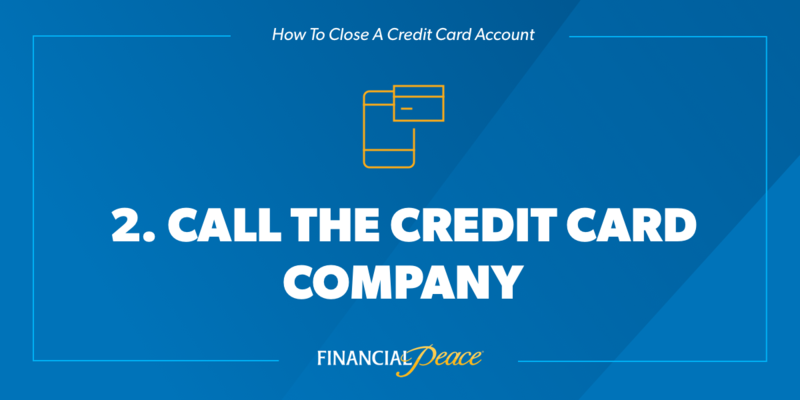 You’re calling for one reason and one reason only: to close your credit card account. It’s very important to stay organized while you’re closing your account. When you call to cancel your card, write down who you spoke with and when the conversations took place. 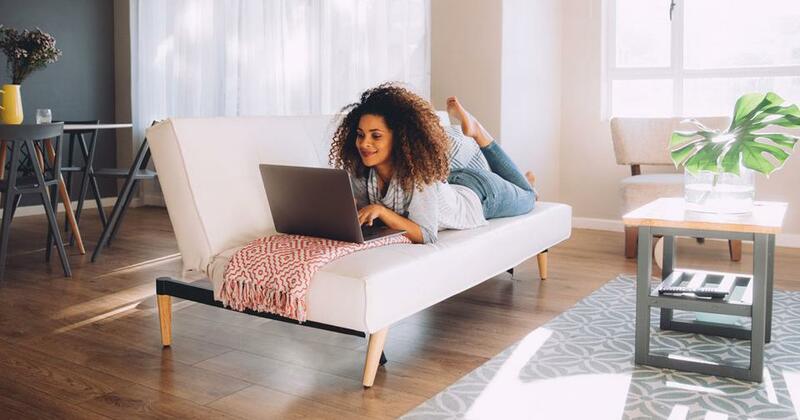 You’ll also want to send the credit card company a certified letter with the details of your conversation including date, time, names, and any confirmation numbers you received. 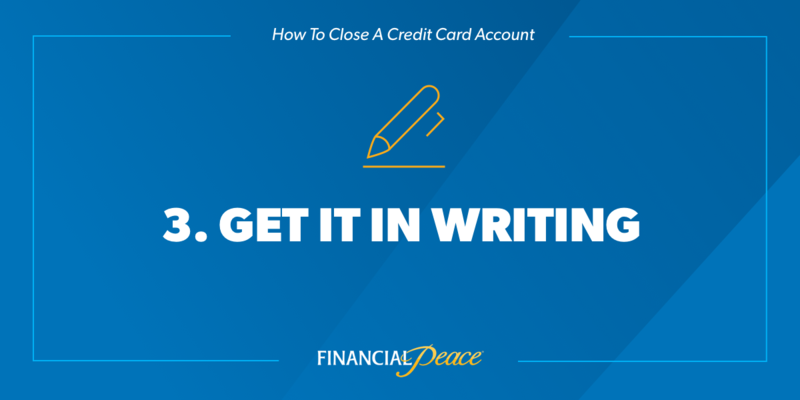 Request a statement in writing that shows your balance is clear and your account is closed. 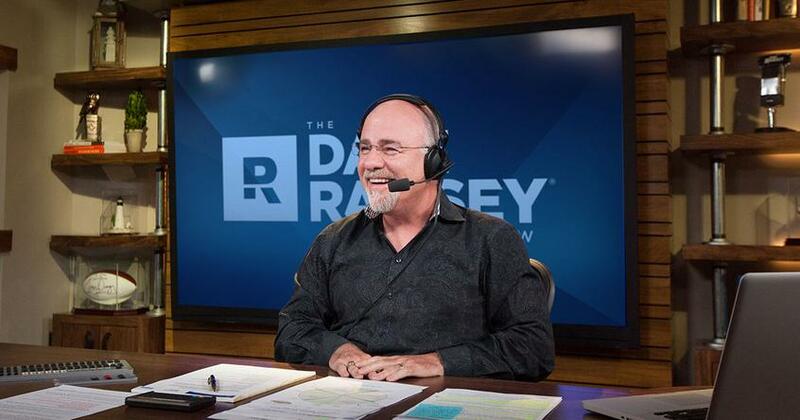 Use Financial Peace University to Pay Off All Debt! When you get rid of your credit cards, you’ll start to take control of your money. But that’s just part of your financial journey, so don’t stop there! Learn how to become completely debt-free, save and spend wisely, and invest for retirement. Financial Peace University will show you how you can take control of your money once and for all.